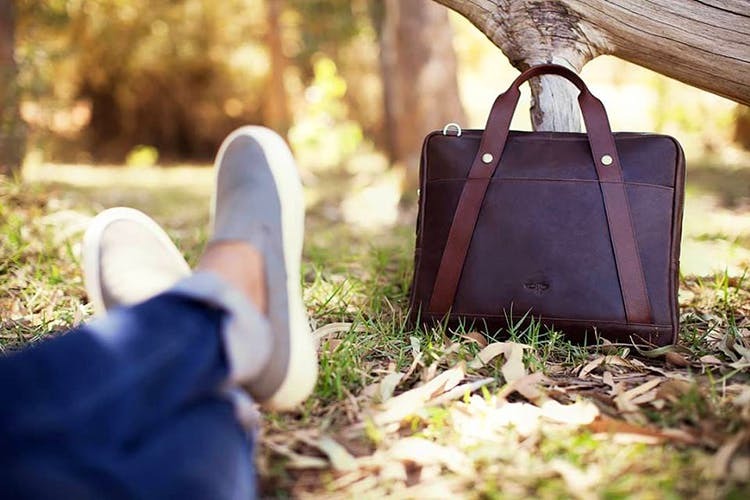 Whether you are looking for some quality leather accessory or need a stylish yet functional bag, Quick Brown Fox’s collection is for you. Wallets to backpacks, they have got it all. Calling themselves a brand that’s designed for men on the go, this brand’s collection isn’t fast fashion but rather contemporary designs that will stand the test of time. The handcrafted collection of backpacks, duffel bags, laptop bags, and city bags from Quick Brown Fox indicates, that leather designs are here to stay. Not to mention that the full-grain leather that they use, develop a patina or a weathered, burnished look, with a soft sheen over time. Signs of premium leather, they claim. These folks do laptop sleeves, bi-fold wallets, card cases, money clips, and passport wallets as well. But it’s the collection of bags that we are in so awe of. We have our hearts and savings set on the collection of functional yet trendy messenger bags. It’s similar to the one Sanjay Manaktala sports effortlessly. There's also the messenger bag that’s also a backpack that we love! It’s a definite head turner as well as gives us that professional look.Starting at INR 6,500, the collection might be a deal breaker for many, especially if they on a hunt for budget leather accessories. But the collection isn’t throwaway fashion but rather something you can invest in. Of course, that being said, these stylish accessories are well-crafted to handle the daily wear and tear. Especially accessories like the travel duffel bags that are perfect for those quick weekend getaways from Bangalore or mundane work trips. They are based out of Bangalore but ship pan-India.